We’d love your help. 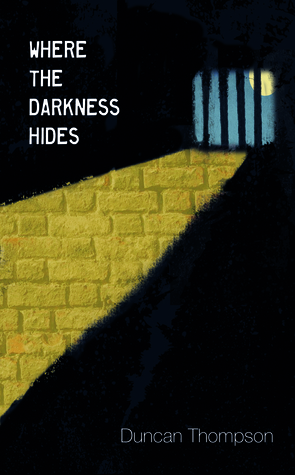 Let us know what’s wrong with this preview of Where the Darkness Hides by Duncan Thompson. Just when you thought the thrill ride was over, prepare for round two! Where the Darkness Hides picks up immediately where Within the Dark Places ended -- and, as tradition dictates for horror sequels, this time the body count is higher and the death scenes are even more brutal and terrifying. The Shadowmen have returned. This time, they lay siege to Raven's Peak police sta Just when you thought the thrill ride was over, prepare for round two! Where the Darkness Hides picks up immediately where Within the Dark Places ended -- and, as tradition dictates for horror sequels, this time the body count is higher and the death scenes are even more brutal and terrifying. Published June 30th 2017 by Rowanvale Books Ltd.
To ask other readers questions about Where the Darkness Hides, please sign up. I liked the fact this story didn't try to copy or do exactly what the first one did. It goes to different places while also exploring concepts from the original in more detail. There are many sequels that get made just because the first was good or successful but they rarely deliver. Was 'Where the Darkness Hides' just as terrifying as 'Within the Dark Places'? Probably not, and it doesn't need to be because they are two completely different stories, and the differences is what makes this one just as good. This time around the story begins with a slower build and instead of being a more on the scary side its more of a tension filled experience. We sort of know what's coming, but it comes from the unexpected. The police begin to investigate the events of the previous story and while we know what has happened, they don't and it becomes that old fashioned full proof horror scenario of readers saying out loud 'don't go in there!' or in this case don't got into the Druid Woods. Duncan is the author of his debut novel, Within the Dark Places. Available now on Amazon and Rowanvale Books. His second novel Where the Darkness Hides is coming soon. Duncan has spent most of his life in a small market town in West Yorkshire — the same town in which most of his stories are set under the guise of Raven's Peak. In the late ‘90s, Duncan turned amateur director and started creating his Duncan is the author of his debut novel, Within the Dark Places. Available now on Amazon and Rowanvale Books. In the late ‘90s, Duncan turned amateur director and started creating his own horror movies with no budget and a video camera ‘borrowed’ from his parents. 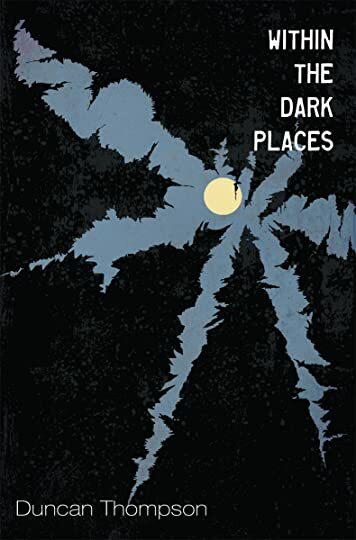 Fast-forward some thirteen years later, Duncan turned to film-making once more, and the idea behind Within the Dark Places was born — initially as a screenplay. Unfortunately, adult responsibilities caused the project to end before it had really begun. However, Duncan felt there was merit in the story and so developed his concept into a novella. He is currently working on his third novel, and believes he has already planned enough stories to keep him writing for the next twenty years.